Newly designed Pressure Lite toilets raise the bar for exceptional bulk flushing performance. This Highline/Wellworth Pressure Lite toilet tank with left-hand trip lever, with its 1.0-gallon flush, provides a water savings of 5,000 gallons per year and offers complementary style for any bath or powder room. Featuring the elegant architectural look of the Memoirs collection with Stately design, this toilet tank delivers water-conserving flush performance combined with clean lines and traditional style. The 1.28-gallon flush offers up to 16,500 gallons of water savings per year, compared to a 3.5-gallon toilet, without sacrificing performance. Pair this tank with the K-4387 bowl and fixtures and faucets from the Memoirs collection for a matched ensemble. 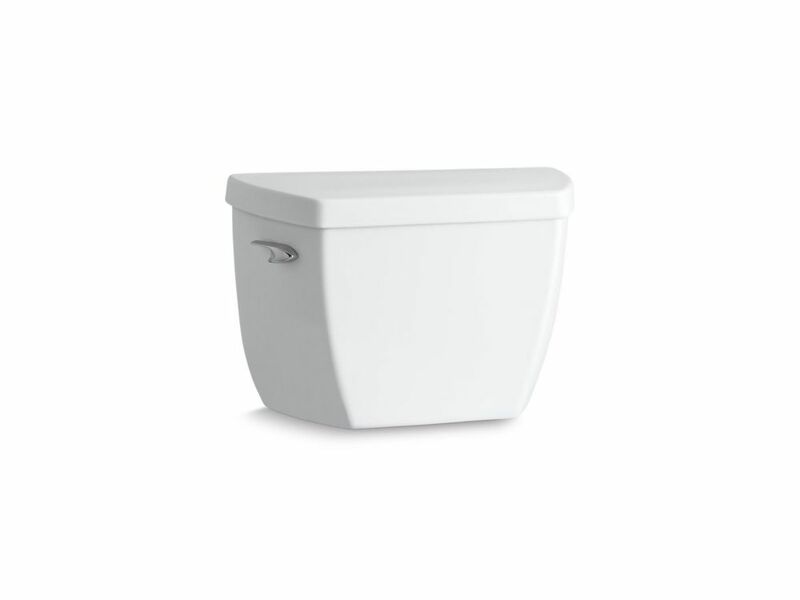 Highline Classic Toilet Tank Only In White Newly designed Pressure Lite toilets raise the bar for exceptional bulk flushing performance. This Highline/Wellworth Pressure Lite toilet tank with left-hand trip lever, with its 1.0-gallon flush, provides a water savings of 5,000 gallons per year and offers complementary style for any bath or powder room.